Posted on September 25, 2017 by Anna C.
Scientists are hard at work finding ways to improve your health! With so much bad news emblazoned across headlines in every newspaper you look at, the world might seem like a gloomy place. So let’s take one depressing subject — disease — and peel away the sad outer layer to find silver linings of optimism. When it comes to infections, a lot of us blame one thing: germs, also known as “bugs” — “pathogens” if we’re fancy. Some people might not think of infectious diseases as being that big of a deal — after a round of antibiotics, you’ll be on the mend. Unfortunately, antibiotics only work for bacteria, but a lot of diseases are caused by other types of germs — for which antibiotics are no match. One type of germ is called a virus, and they can’t be cured. Sometimes they can be prevented with vaccines or treated with drugs. For example, the major strains of human papillomavirus (HPV) can be prevented with a vaccine called Gardasil, herpes simplex virus can be suppressed with antiviral drugs, and HIV can be controlled with antiretroviral drugs — but none of these infections can be cured. HPV is usually defeated by the immune system, but herpes and HIV are with you for life. But it’s not all bad. Around the world, individual scientists have picked their “favorite” viruses and are devoting their lives to finding better prevention strategies, better treatments, and even cures. Let’s check in with some of the latest headlines touting the successes of science. A herpes vaccine would be a blockbuster — given how common this sexually transmitted infection is, a preventive shot could help a lot of couples discuss their herpes status without as much fear of judgment and stigma. Herpes might cause an “outbreak” — unpleasant symptoms that include genital sores — but afterward the virus goes dormant in the nerve cells, hiding from the immune system. In some people, the virus can come out of its dormancy to cause flare-ups of symptoms, but once it’s had its fun it retreats back to the nerve cells. 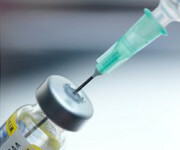 Earlier this year, media reported on a promising new candidate for a herpes vaccine. Using a completely different strategy than previous, failed herpes vaccines, the researchers behind this breakthrough targeted the part of the virus that allows it to hide from our immune systems. If this vaccine works as hoped, recipients will be able to mount an immune defense when exposed to the virus, blocking it from establishing a permanent home in nerve cells. It might even suppress outbreaks in people who already have herpes. Results from early human trials could be published by the end of the year. One piece of bad news, though: Allegations have recently surfaced that overseas trials of this vaccine have been ethically suspect. While the vaccine either works or it doesn’t, the fact remains that researchers are obligated to adhere to standards to protect their human subjects. Time will tell if the vaccine works — and if the vaccine manufacturers’ attempt to circumvent FDA regulations results in human harm. A few days ago, news sources shared another exciting breakthrough — this time, research into better ways to prevent or treat HIV. HIV has many talents, including the ability to mutate at a breakneck speed, making it difficult for our immune systems to recognize and fight HIV. But some HIV patients have immune systems that learn how to manufacture “broadly neutralizing antibodies,” which are tiny molecular weapons that aren’t distracted by all the mutations, and can stare straight into HIV’s soul and see it for what it is — and attack. 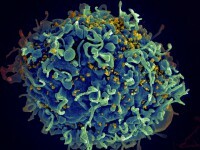 Scientists have collected especially potent broadly neutralizing antibodies from HIV patients and combined them into one super-antibody, which targets 99 percent of HIV strains. If human studies are as successful as the monkey studies were, an injection with these antibodies could be a powerful method of prevention — and perhaps even treatment. Or for the worse, if your idea of fun is putting your feet in stirrups and getting your cervix swabbed. But if you think cervical cancer screening is annoying, awful, or even traumatic, you’ll be pleased to learn that guidelines are changing. Once thought of as part of an annual checkup, for people age 30 and older, they could become a twice-a-decade thing. Pap tests can be paired with an HPV test, both of which use samples obtained from cervical swabs. The Pap test examines cervical cells to look for abnormalities, while the HPV test looks for DNA evidence of viral infection. The U.S. Preventive Services Task Force recommends a Pap test every three years for cervix-havers in their 30s and above — or they can opt for a Pap/HPV co-test every five years. Their new guidelines will call for just an HPV test every five years — no Pap test required. Although if you really love Paps, you can still get them — every three years. You can talk to a health-care provider to figure out which option is right for you. Current evidence indicates that the HPV test alone, when not paired with the Pap test, will lead to less follow-up testing — testing that can turn out to be unnecessary but is stressful for the patient. Sounds like a win! Your local Planned Parenthood health center can perform STD testing, treatment, cervical cancer screening, or HPV vaccination. Click here to check out other installments of our monthly STD Awareness series! This entry was posted in Sexual Health and tagged abnormal, acquired immune deficiency syndrome, AIDS, antibody, biomedical ethics, broadly neutralizing antibodies, cancer, cells, cervical cancer, cervical health, cervix, DNA, drugs, ethics, FDA, Food and Drug Administration, Gardasil, Gardasil 9, genital herpes, genital warts, herpes, herpes drug, herpes medication, herpes outbreak, herpes simplex virus, herpes vaccine, HIV, HPV, HSV-1, HSV-2, human herpesvirus 1, human herpesvirus 2, human immunodeficiency virus, human papillomavirus, immune response, immune system, immunity, immunization, infection, latency, nerves, Pap smear, Pap test, Papanicolaou test, pelvic exam, precancer, precancerous lesions, prevention, retrovirus, screening, sexually transmitted disease, sexually transmitted infection, STD, STD Awareness, STI, testing, tri-specific antibody, U.S. Preventive Services Task Force, vaccination, vaccine, vaccines, virus by Anna C.. Bookmark the permalink. GYT: The New Third Date!